WE HAVE A WINNER! Thanks to all who entered? Didn't win? Grab your Swanky Stitch gear now on their website! Please check back here at MIMI MARIE later for more great giveaways! 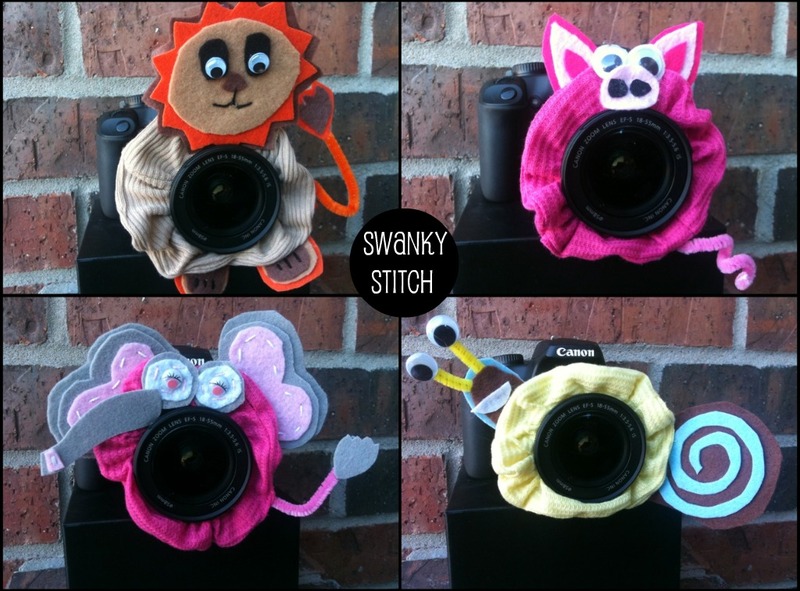 I am a facebook of Swanky Stitch! Please email me at mindy@mimimariedesign.com within 48 hours to claim your prize. In your email please give me your physical address so we can have your prize sent. Happy Valentine's day everyone! We have a wonderful giveaway for you this week! I was reading some fabulous blogs a couple of weeks ago and came across the Swanky Stitch! 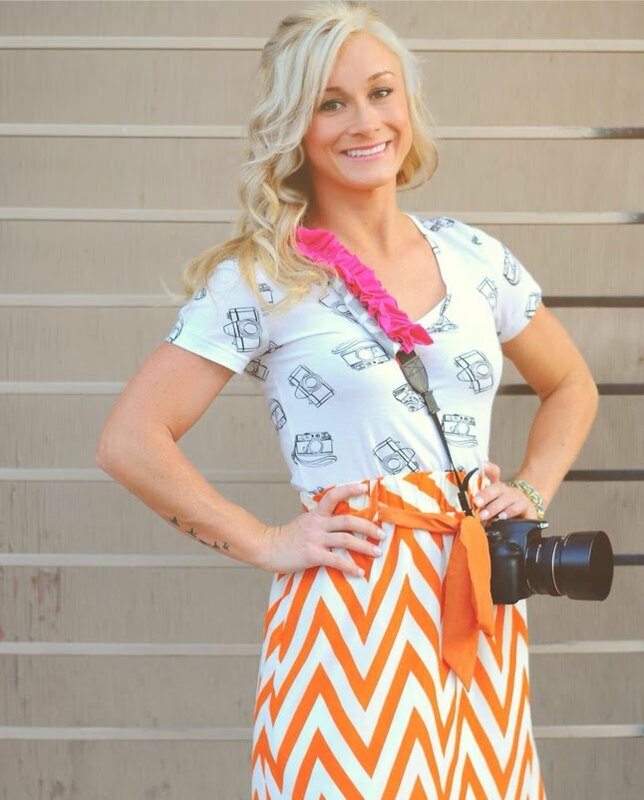 I fell in LOVE with her Lens friends and her camera straps. I contacted Sara and she agreed to let me host a give away for one of her swanky, adorable items to a lucky Mimi Marie Fan! When I'm not taking care of my adorable, 21 month old little son, Jack, or spending quality time with the hubs, I'm crafting, creating, baking, and sewing. 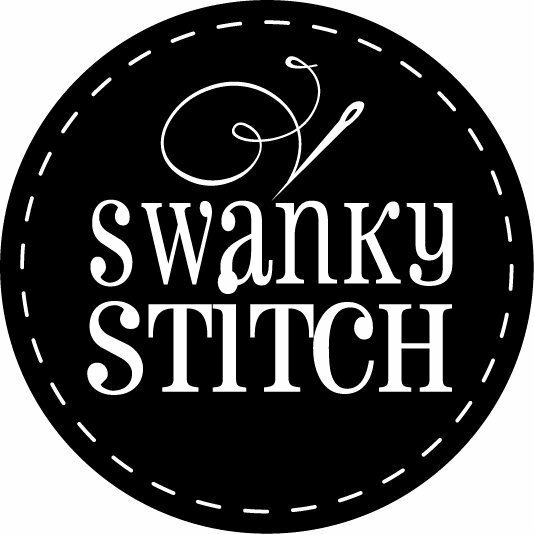 Swanky Stitch was born after I had many requests from friends & family to start selling my lovely designs. Check out these adorable creations by Swanky Stitch. You, yes you, can be a lucky winner of one of these fabulous creations! I adore the Lens Friends because I think if I had that on my camera, I would always be able to get my kids to look at the camera! :) Such a great idea! 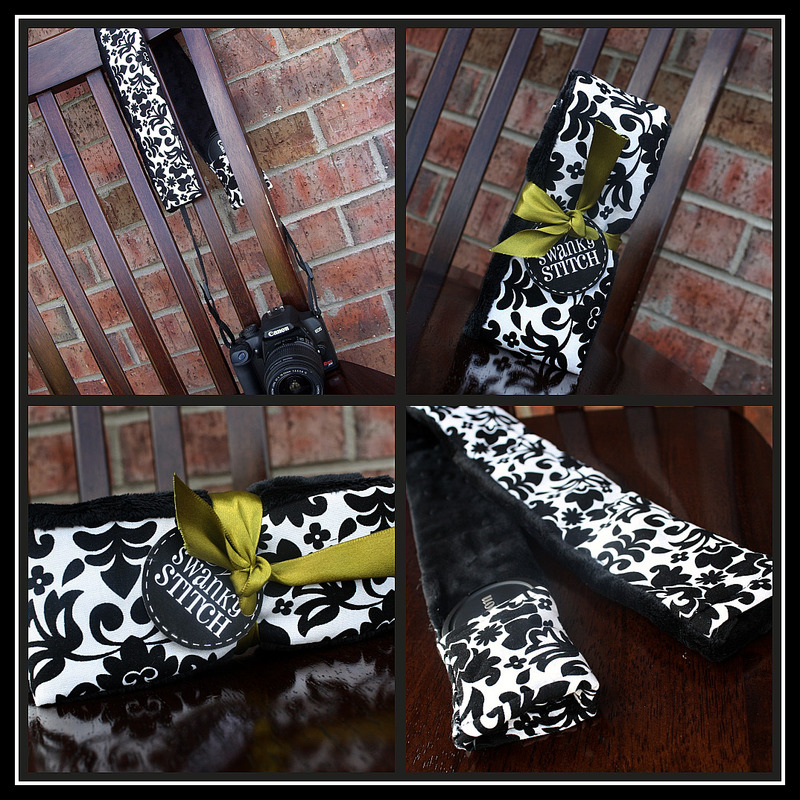 ONE lucky winner will have the choice of picking out a Lens Friend or a Camera Strap! Tell your friends! Get the word out! Here is how to enter! 1} Check out all of the adorable Swanky Stitch camera straps here. Check out the Lens Friends here. Come back to our blog and comment below telling us which one you LOVE the most. Hard to pick just one, huh!? 2} Be a fan of Swanky Stitch on facebook- CLICK LIKE on the top of their page. Write on their wall and show them some Mimi Marie LOVE! (* please be sure you do this step, this is required for entry). Comment (below) on our blog with your email address telling us that you are a fan of Swanky Stitch. 3} Be a fan of Mimi Marie Design on facebook- CLICK LIKE on the top of our page. (* please be sure you do this step, this is required for entry) Comment (below) on our blog with your email address telling us that you are a fan of Mimi Marie Design. Hopefully that is not too confusing, I try my best to make this easy! :) Thanks for entering! We love our fans! 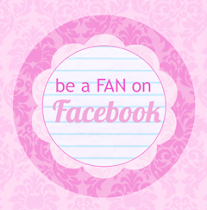 3} Share our facebook pages with as many friends possible by clicking SHARE at the bottom of our fan pages! Winner will be chosen by random.org on Friday February 18th. The giveaway ends at 10am MST. Giveaway will be posted on our blog. Open to US residents only please. 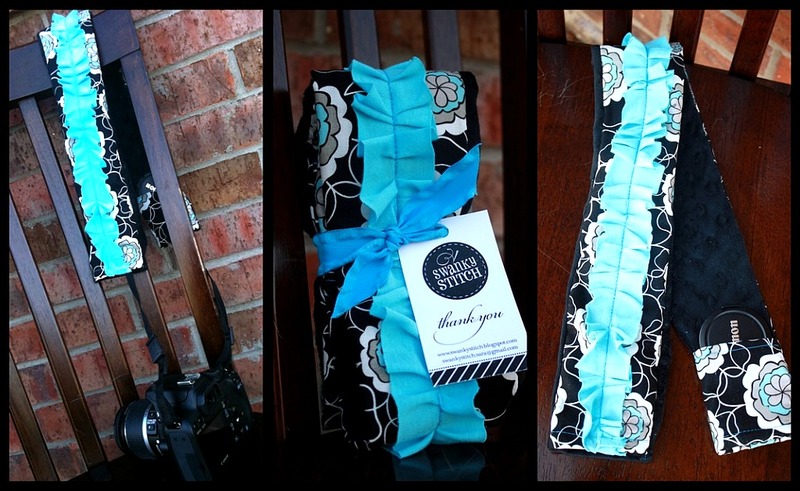 MUST be a fan of both Mimi Marie and Swanky Stitch on facebook to be eligible to win. 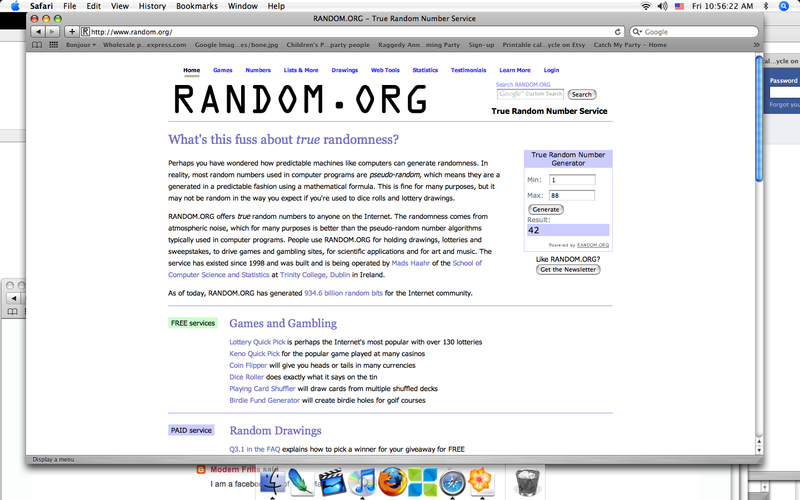 *We check the facebook fan numbers to be sure that everyone entered correctly. I love the colors of the camera stap style 2B. So cute! I Love Style 2B...LOVE in pink and black..xoxoxoxo! I Love, Love, Love 2B in Brown and Blue! LOVE! "Like" Swanky Stitch on Facebook and Mimi Marie Designs! THe penugin lens friend is my favorite, no contest. I have a minor (ok major) penguin obsession!! I'm a fan of swanky stitch! My favorite is the Style 2B camera strap. Thanks! I like the frog lens friend and I like the peace symbols and cheetah straps. You're right... it's hard to choose. I've became a friend of both FB pages. I would LOVE a lens friend! Already got my camera strap. Thanks for the giveaway! I've "liked" both fan pages! I really love the monster lens friends and I love pic #23 camera strap..
Wow, I love them all! I would pick a camera strap style 3B. Great giveaway! There is NO WAY I can pick just one thing... but I would love the 2B Strap with aqua/black... and I want one of those flowers on it (custom!). My son would love the robot lens pet, but I would have to go with that cute chameleon, I think. Totally indecisive, right? I fanned and posted love for Swanky Stitch. Fan!! I am having problems seeing your Facebook page? Not sure why? My favorite is the black damask with the solid black ruffle...so cute! This is awesome!.. I love the owls strap and the frog lens friend... it's very hard to choose but those are my favorites! I love anything Demask, so any one of the demask straps with an added flower would be GRAND!! I am no a happy fan of yours on FB! I love the cupcake Lens Friends, so cute! I am already a fan of Swanky Stitch on FB. I am a new fan of mimmarie design! I love style 4B in the pink/black that hold the camera lense cap! I do want one of those..so I won't loose my cap! Love, love, love! Sorry, my e-mail is: info@photographybyjulie.net (goes with my previous three comments! I love the 1B style. The green with the black and white is my new fave! I am already a fan of Swanky Stitch on FB! I am a fan of Mimi Marie Design!!! I love fabric 108 for a strap from Swanky stitch! too cute! I also love the piggy lens friend! I am a fan of Swanky Stitch on FB already and left some love! I'm a FB fan of MMD! I'm also a fan of MMD and I'm friends with SS's original friend page! Love y'all!! Love your stuff and your giveaway! Here is where I posted it on facebook! I also liked both of ya on my facebook. And I love the camera straps!!! Really love the lens friends! I'm a new fan of swanky stitch! I'm a fan of Mimi Marie on fb! Already a fan of Swanky stitch! 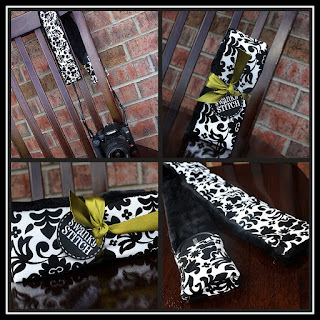 I <3 the Style 2B camera strap, and the Bee lens friend! So cute!! 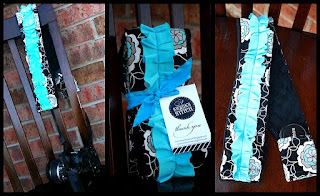 I "Liked" Mimi Marie Design... But I don't know if it's the right one! It says it's a company and only 14 people like it... I found it by going thru Mindy, on her profile. When I click the link posted above for MMD, it takes me to my homepage. I hope I can still enter!! Oh! I needed to state which I liked. Tough choice!!! The straps are beautiful and the lens friends are adorable and perfect for getting the attention of kids ... and probably adults too! I'm a friend of Mimi Marie Designs on FB!